Gone are the days where your feet had to suffer for the sake of style. In this list of the best stylish walking shoes we detail ten different shoes that will get you from A to B in comfort and style. From ballet flats to boots to sandals, all of the shoes are on this list are stylish enough to wear with your favorite outfit, but also comfortable enough to spend hours on your feet. And, whether you are exploring the cobblestone streets of Europe or chasing down wayward kids all day, there is sure to be a pair of shoes on this list that hit the mark for comfort and style. What are you waiting for? Put away those sneakers and find some stylish, yet comfortable shoes on this list. And, for even more style know-how, check out our list of the best fashion blogs. 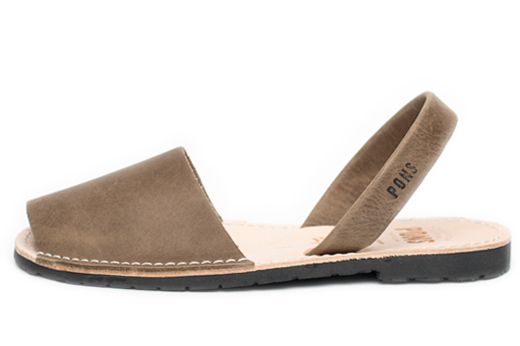 Crafted in Menorca, Spain by local artisans, these super comfortable and stylish all-natural leather Avarca sandals are perfect for hot weather walking. A lightweight rubber sole and durable materials make this sandal a footwear choice you will keep coming back to. 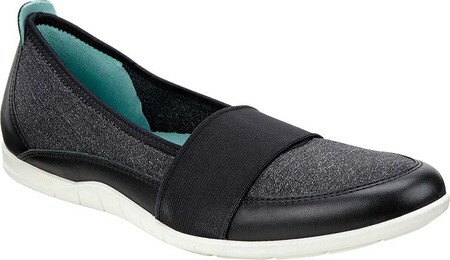 Featuring an innovative microfiber inlay designed to keep your feet cool, this pretty and comfy Ecco flat is flexible and lightweight. A wedge insert provides extra support and the leather upper is breathable, making this shoe a good choice for warm or cold weather. 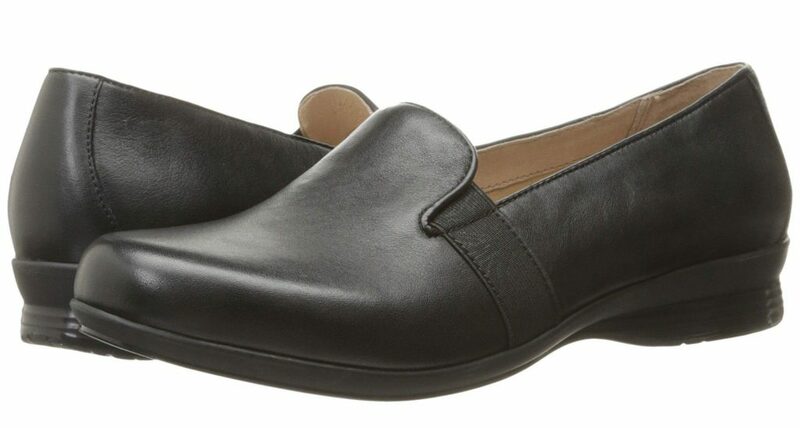 While Dansko is perhaps best known for its clogs, it also makes some very comfortable and sophisticated flats. This shoe blends classic Dansko comfort with a timeless style. 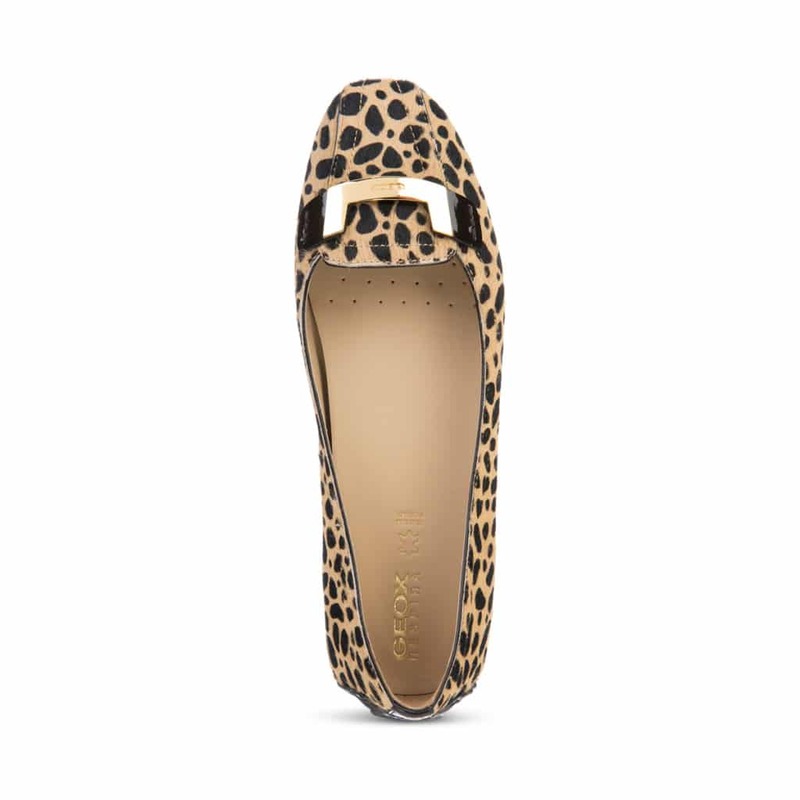 This espadrille loafer is a great, stylish slip-on for warmer climates. Aerosoles “Stich ‘N Turn” technology provides extra flexibility, and the durable sole makes this shoe something you will turn to time and time again. 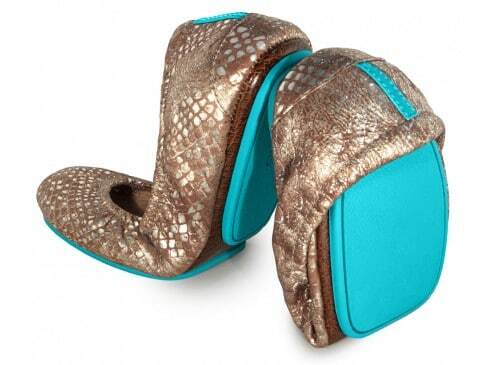 Made in almost every color, these designer flats by Tieks have a split sole design that allows the shoe to fold in half. 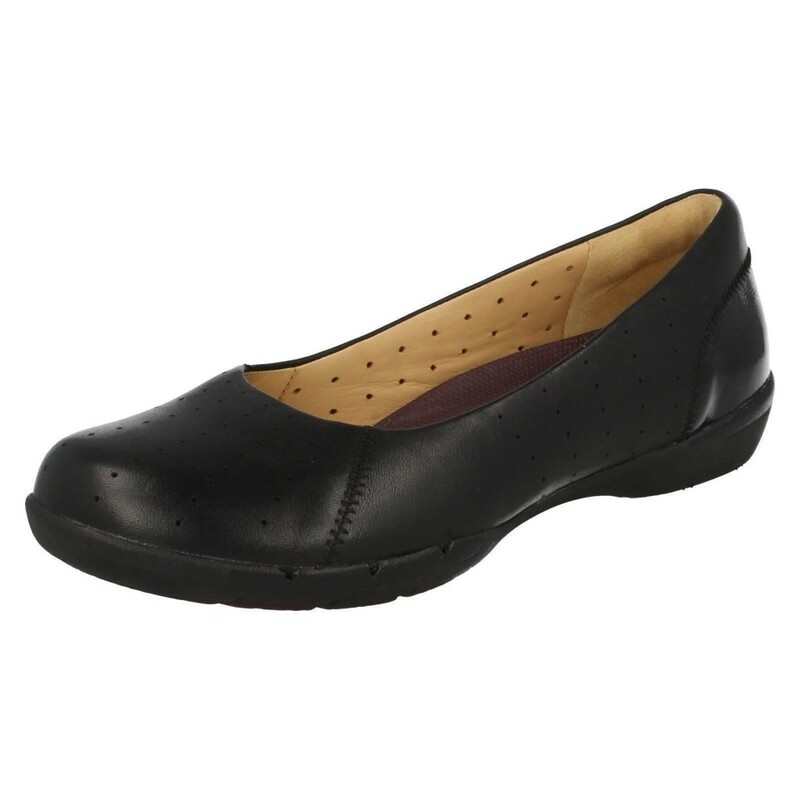 Super comfortable, this ballet flat is made with fine Italian leather and features a cushioned back and non-skid soles. 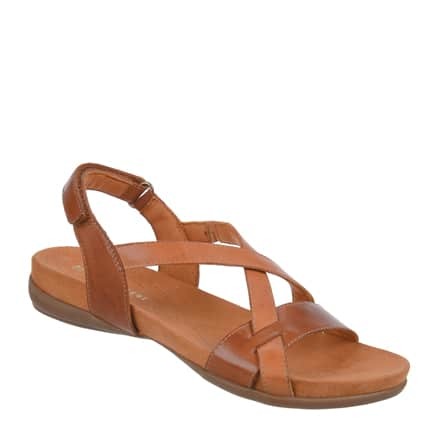 This leather sandal by Naturalizer is a perfect blend of style and function. A cushioned insole and non-slip outsole contribute to the comfort of the shoe, while the leather upper and unique design ensures that every step you take is a stylish step. If you love animal print and want a durable walking shoe, this is the pair for you. A breathable and waterproof membrane make the rubber soles on the Dionisa super comfy and durable, and a hairy calf skin and patent leather upper make for a stylish flat. 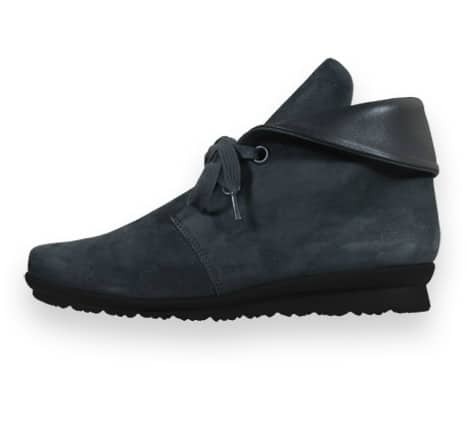 Made in France by a team of artisans, Arche shoes can be pricey, but the price is well worth it. This chukka boot has a water resistant leather upper and an all-natural Latex outsole provides great shock absorption and comfort. 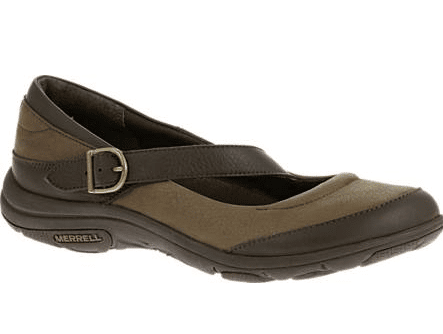 A twist on the traditional Mary Jane, this Merrell flat has a stylish leather upper. A trail-inspired grip and cushioned insole also give the wearers of this flat all-day comfort and support. Featuring climate control technology that keeps feet feeling fresh, this Clarks flat has a black leather upper with lambskin and suede lining. A removable molded footbed and a rubber sole add to the appeal of this comfortable walking shoe. Finding the perfect balance between style and comfort can be pretty hard to do sometimes when it comes to selecting footwear. Usually, it comes down to making a sacrifice on either style of comfort. That is why we decided to put together some great options for stylish and comfortable shoes that are going to cover a variety of different styles. You will no longer have to make a sacrifice when it comes to what you put on your feet.